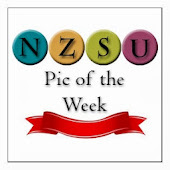 Our current challenge is a colour challenge. And to use the colours Chocolate Chip, So Saffron and Riding Hood Red. 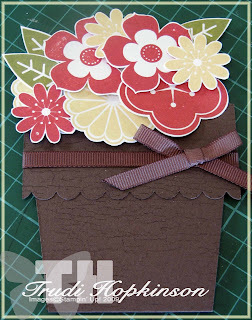 I had to use these colours for my first Flower Pot card, of course I had to throw in a touch of Old Olive for the leaves. I really enjoyed making this card. The flower pots are so sweet, I wish I had've been more onto it for Mothers Day! So to enter the challenge you can email me a photo of your card or if you have a blog you can add your link to it below. Have fun and I can't wait to see everyone's creations.